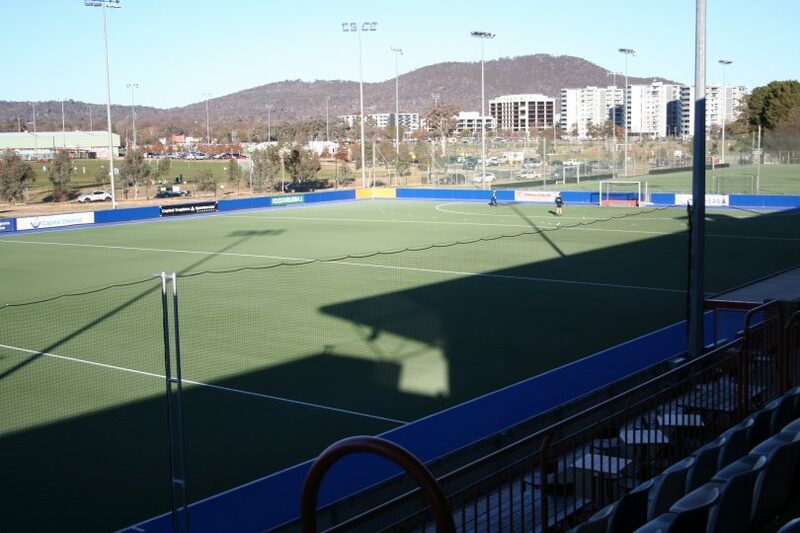 How will climate change impact on athletes as well as crowds at sporting events in Canberra? Photo: Tim Gavel. The Brumbies had a glimpse of what could be more apparent in the future, when they struggled in 34 degree Celsius temperatures against the Queensland Reds in Brisbane. This is the same temperature, which if reached in Canberra, can force a game of junior cricket to be suspended. That doesn’t take into account the humidity factor, which would be present in Queensland, at this time of the year. In February 2017 a number of sports including cricket, basketball, tennis and softball cancelled their fixtures because of a forecast of 41 degrees. Near-freezing conditions at Canberra Stadium for Raiders and Brumbies Games in winter are starting to become the norm. Extreme heat for the NBL game between the Illawarra Hawks and the Cairns Taipans at the AIS Arena on 26 January made conditions incredibly uncomfortable for players and spectators. 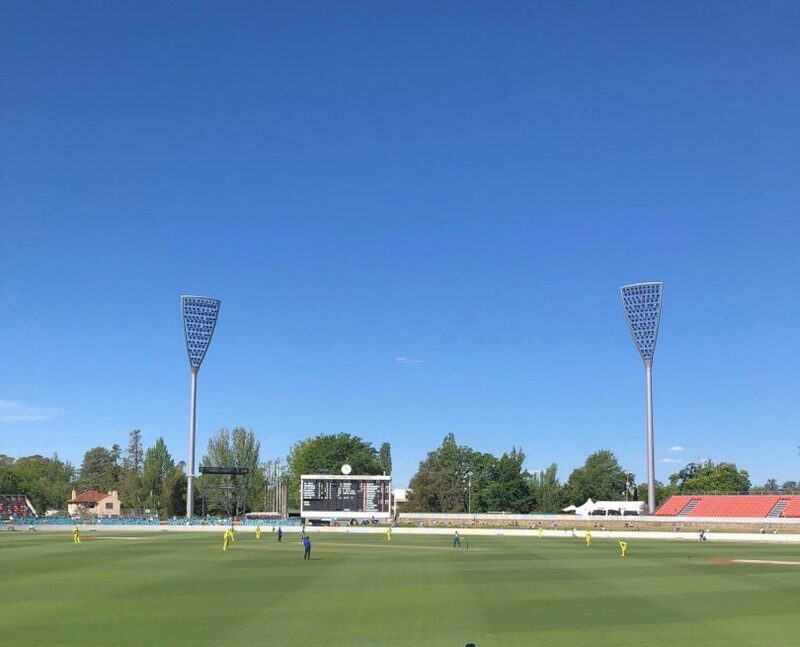 Canberra United’s W League game against Melbourne Victory in January at Seiffert Oval was abandoned because of lightning, after initial fears that extreme heat could force the match to be postponed. There were similar concerns in the lead up to Canberra United’s game against Adelaide. Extreme temperatures could impact upon players as well as crowds and infrastructure in the future. Photo: Jennifer Andrew. These are just a few examples of the impact extreme weather conditions are starting to have on sport in Canberra and on ACT sporting teams. The issue of resilience of the Canberra community in coping with increased heat waves, extreme weather events such as storms, floods and droughts, will be discussed at the launch of the University of Canberra UnCover platform on Thursday night (28 March) at the Duxton. As well as looking at the preparedness of the ACT for the impact of climate change, the forum will also look at other issues, such as the changing face of Canberra and a proposed ‘wellbeing’ index. I raise sport as just one aspect of our lives, which potentially could be significantly impacted by climate change, and whether sport has the ability to change. In Canberra will we need to change the timing of sport events to fit in with extreme weather conditions, rather than a schedule put together to cater for a television audience? The worry of course is that extreme heat, in particular, has the potential to create major health problems for athletes. There are measures in place at the Australian Open, with a heat stress scale, which includes the maximum heat stress an athlete can safely withstand. Football Federation Australia has a policy, which has been used a number of times for afternoon games in summer. But how widespread is the use of monitoring in sport for extreme conditions? I suspect it’s not used broadly at all. Many involved in sport in Canberra tell me it comes down to common sense rather than a reliance on science. They won’t put their kids into a sporting event if there is even the slightest of concerns about high temperatures. With the potential impact of climate change, is it time for a uniform policy across all sport? Original Article published by Tim Gavel on The RiotACT. One Response to Will climate change impact our sport schedule in the future? Thanks for this article Tim, heatstroke is going to increasingly become a problem a temperatures rise, particularly in areas with high humidity. Climate change adaptation is going to require sporting events to avoid the hottest part in the day and have limits beyond which the event is not held. Climate change will also affect outdoor workers who my need to avoid the hottest part of the day and start earlier and later. The NRL’s off-season from hell: Does it impact on your support for rugby league?